The controversial case in which the Ministry of Health is trying to procure 50 ambulances at US$288,000 each has taken a new corrupt twist. The Watchdog has been informed by government contacts that actually, there is another secret contract involving 50 ambulances to be supplied by Iveco of South Africa. This means that there are now two contracts for the same project. At the centre of this secret contract is health minister Chitalu Chilufya and his girlfriend Kaku. The ministry of health has already paid Iveco of South Africa more than 75% of the money but no ambulance has been delivered yet. Here is the twist: before the 2016 elections and before health minster Joseph Kasonde died, the same ministry signed a contract with Savenda to supply 50 ambulances. But now minister Chilufua and his lover at the ministry have supplanted the first contract with the Iveco deal after receiving money. The background is that, according to government sources, in 2015, the ministry wanted to single source Iveco to supply 50 ambulances. The ministry wrote to the Zambia Public Procurement Authority (ZPPA) requesting authorisation to single source Iveco. ZPPA refused but instead advised the ministry to follow the law and issue a public tender. The ministry which had already told Iveco to start manufacturing the ambulances was at a dilemma. Chitalu Chilufya, who was at that time deputy minister advised his colleagues to come up with bid conditions and specifications that favour Iveco. Despite this, 13 local and International companies submitted bids. Some bidders noticed that the conditions were designed to favour Iveco, so they complained. The ministry issued two addendums (additions) correcting the conditions and specifications that were in favour of Iveco. Iveco failed at the first round of the bidding process. Savenda won the tender beating the 12 others since it meant all the bid conditions and specifications. Then, the minister of health Dr Joseph Kasonde died and cabinet was dissolved as elections were just around the corner. 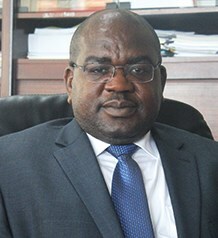 After elections, Chitalu Chilufya was one of the first four cabinet ministers to be appointed. He went to work. After frequenting Iveco offices in South Africa and receiving kickbacks, he fired or transferred to other ministries all procurement officers in the ministry of health. He made sure that no money was paid to the contract between Savenda and the ministry. He promoted his girlfriend Kaku by putting her in charge of planning and infrastructure. Then he told late permanent secretary John Moyo to sign another contract with Iveco to supply 50 ambulances. Two weeks after signing this contract, PS John Moyo was killed in a road crash. It is believed that there was foul play in this accident. It was Minister of Health Chitalu Chilufya who announced the death to journalists in a text message. “With a heavy heart that l announce the death of PS John Moyo in a tragic traffic accident,” Dr. Chitalu Chilufya announced. Actually, when he met his fate, Moyo was from drinking with Chilufya. (We will return to this matter later). The Iveco tender did not go through the legally required procurement bid and was signed when there was already another contract on the same products and same amount. To try and hide the corruption, Chilufya invited four other companies to a meeting while he knew that he had already contracted Iveco. But here is what is tricky: Minister Chilufya has contracted Iveco to supply 50 ambulances and has actually paid them more than 75 per cent. BUT, in public he is pretending that the company that will supply the ambulances and being paid money is Savenda. Government sources have explained that, Chilufya goes to the ministry of Finance to ask for money for ambulances claiming that the money will be paid to Savenda who won the bid. But when the money is released, he pays Iveco of South Africa. Sources at the ministry say Savenda has even brought in two prototypes from Europe but Chilufya has been forbidding officials from viewing the prototype ambulances. We understand law enforcement agencies have been investigating this matter but failing to get the Iveco contract and Chilufya is hiding it, yet he gladly gives the Savenda contract to the police when this one went through competitive tender. A few months ago, Chilufya issued a statement on the status of the acquisition of the ambulances. “…You should not even be misled into dividing $11.5m by 50 because the $11.5m package awarded to the successful bidder Savenda Management Services included a lot more than just the purchase of ambulances. It included training 200 people to support the operation of the ambulances which was 100 paramedics, 50 doctors and 50 mechanics. Apart from the training of the people manning these highly advanced ambulances, the package included the provision of spare parts for five years regardless of mileage,” Dr Chilufya explained. Yet, Chitalu Chilufya knows very well that he has supplanted the Savenda contract and replaced it with Iveco of South Africa which bribed him. Maybe that is one of the many reasons the ambulances haven’t been brought in as people will notice that they are 2014 Iveco models while Savenda bid to supply Benz ambulances. They are 2014 or earlier Iveco models because they were pre-premanufactured even before bids were issued. We challenge Chitalu Chilufya to issue a statement and tell the nation if there is no contract with Iveco. He must also tell the nation how much has been paid to Savenda. Sadly, it’s the PS who will be arrested first when the time comes as Chilufya does not sign any of these documents but uses the PS. The PS is advised that all instructions he receives from Chilufya must be in writing and witnessed.